Beinn Edra bed and breakfast is ideally located in Inverinate, Lochalsh near the Isle of Skye. 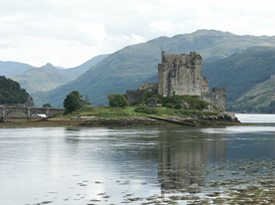 Just a few minutes away from the world-famous Eilean Donan Castle, our bed and breakfast offers a fabulous location from which to enjoy activities in Glenshiel as well as providing a base to travel further including Inverness, Applecross, Glenelg and Skye. With 21 munros in Glenshiel, the area is a great place from which to enjoy all the outdoor activities such as walking, climbing and sea kayaking.